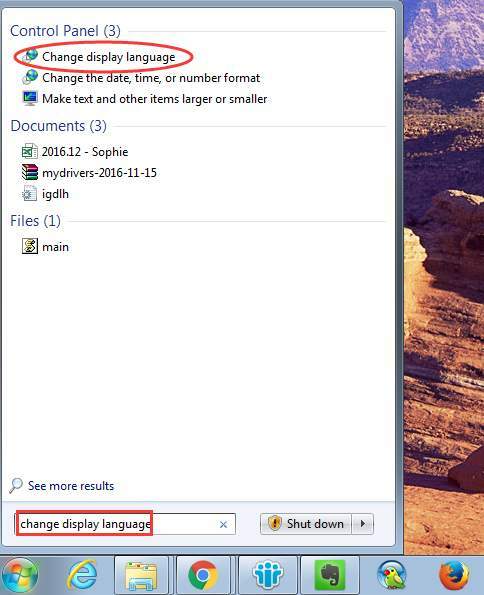 Windows 7 allows you to change the system language yourself. 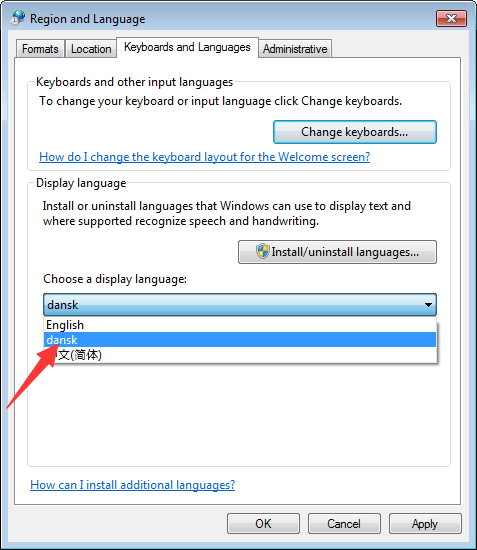 If you purchased a computer having English installed, and you want to change it to other language, you can follow instructions below to change the language. 1. Click Start button in bottom left corner of the desktop. 2. Type change display language in the search box then select Change display language from the result list. Then Region and Language dialog box will open. 3. 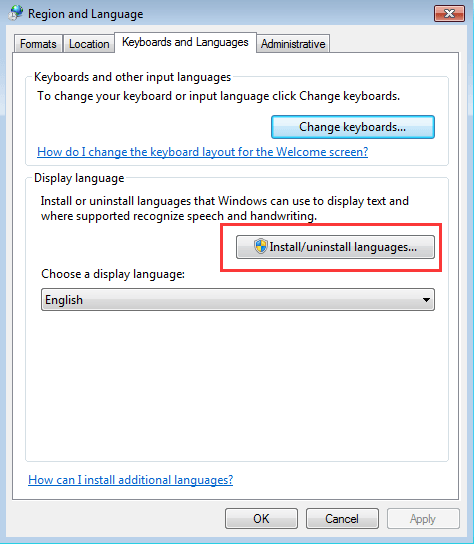 Click Install/Uninstall languages… button. 4. 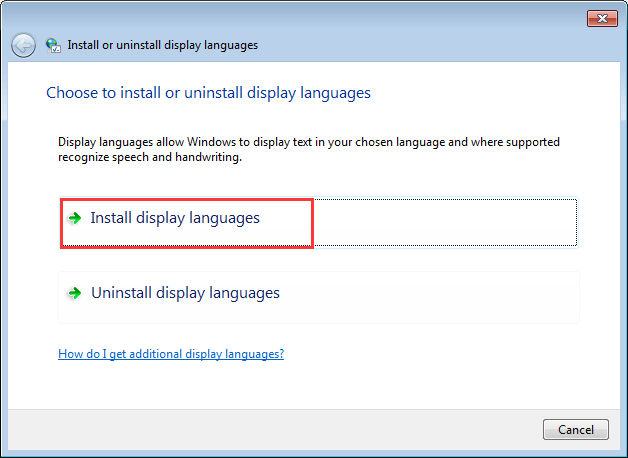 Select Install display languages. 5. 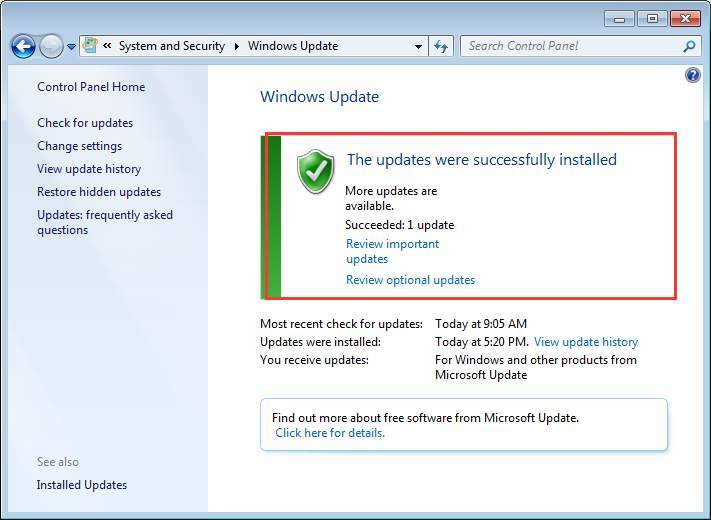 Select Launch Windows Update. 6. 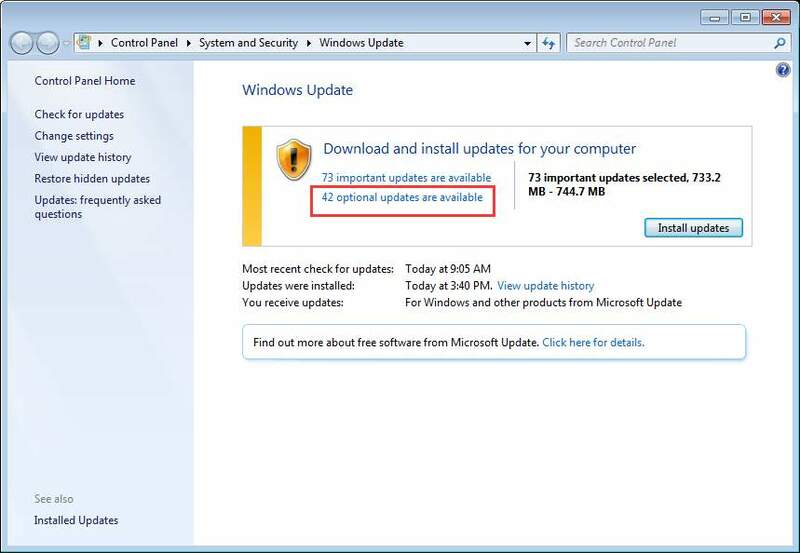 Click on optional updates are available. 7. 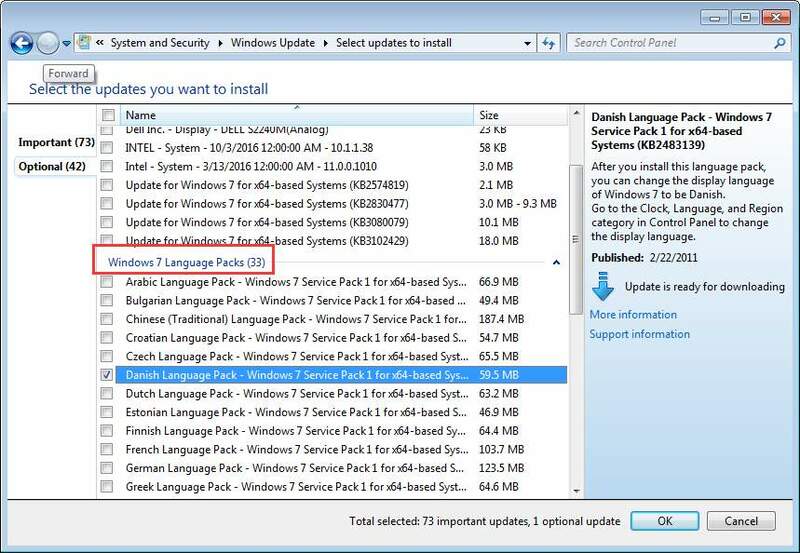 Under Windows 7 Language Packs, select the language that you want to install on Windows 7 (for example, select Danish Language Pack). Note: The Important updates may be selected by default. 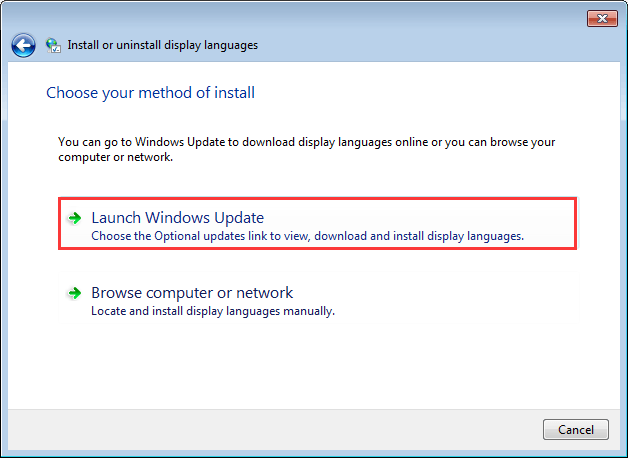 If you just need to install the language pack, check for Important updates and make sure they are not selected. 8. 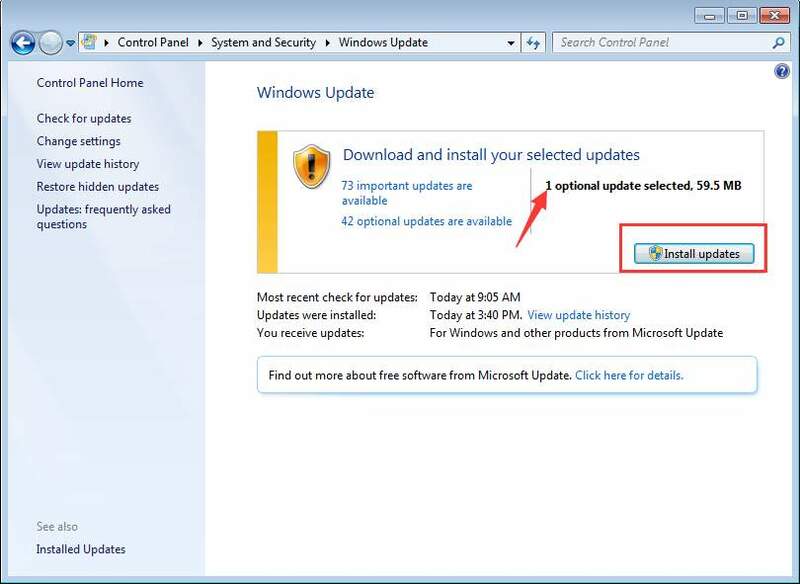 Then click OK button to go back to Windows Update screen. 1. 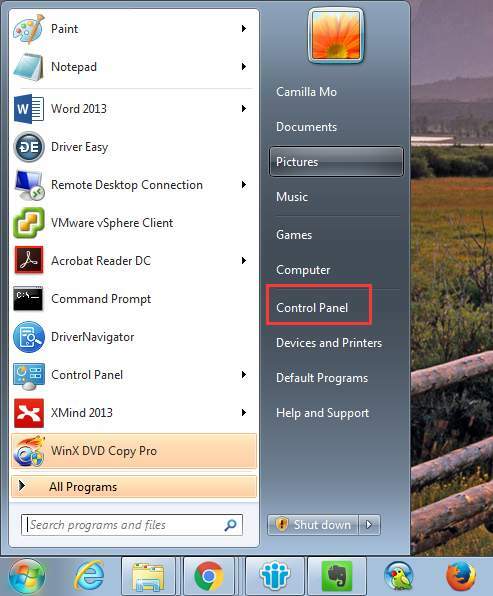 Click Start button and click Control Panel on the pop-up menu. 2. View by Category in Control Panel. 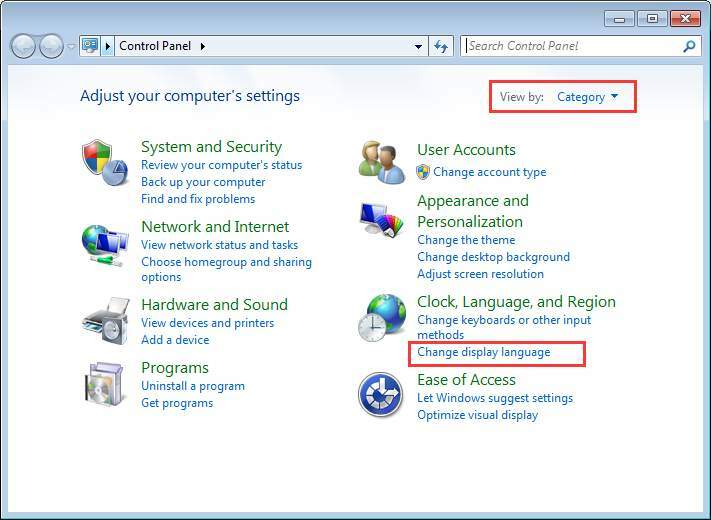 Under “Clock, Language and Region”, click Change display language. 3. Then Choose a display language (In my case, I will choose dansk.). 5. Restart your PC for the changes to take effect.